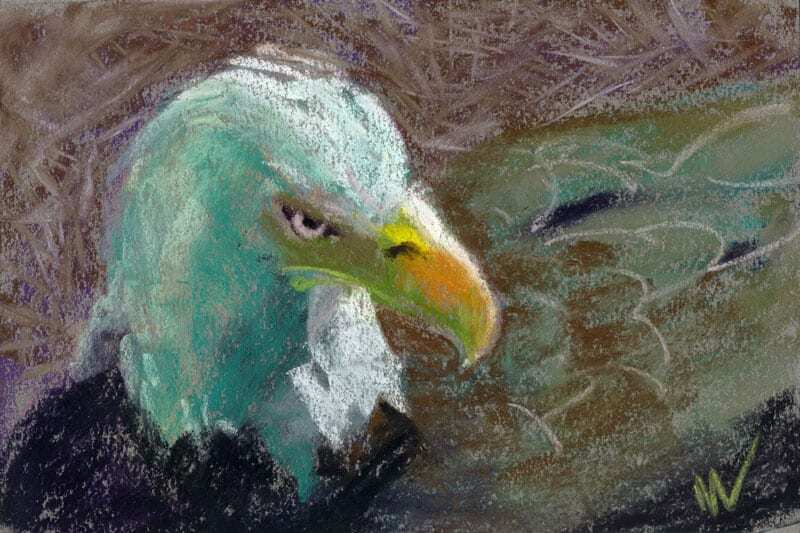 Today’s eagle sketch was made while watching this long-suffering bird snapping at flies that were after his/her partially finished meal. 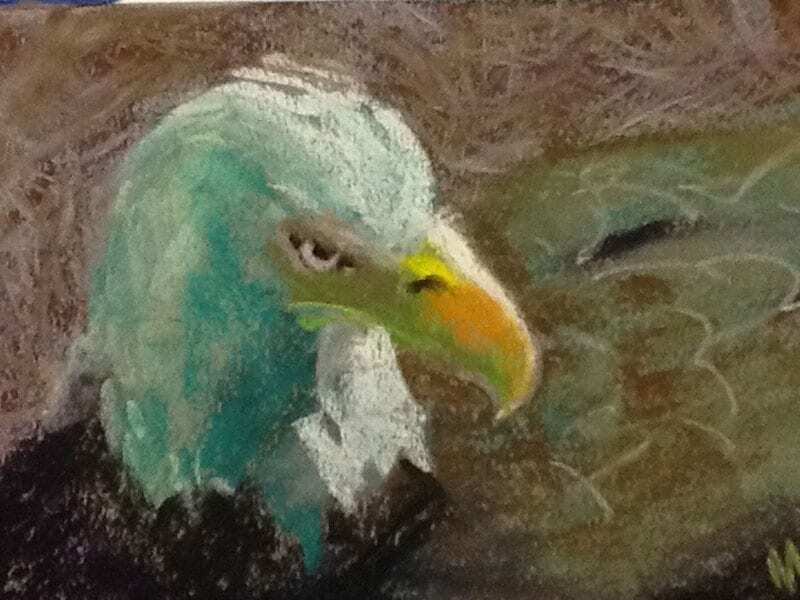 I decided to zoom in a bit on the head of the eagle. I’m learning more and more about what shapes make up an eagle’s head the more that I do this. And it’s fun! It’s also tricky, because, unlike a model, who gets paid to hold a pose until the timer goes off, I never know what this bird is going to do next. 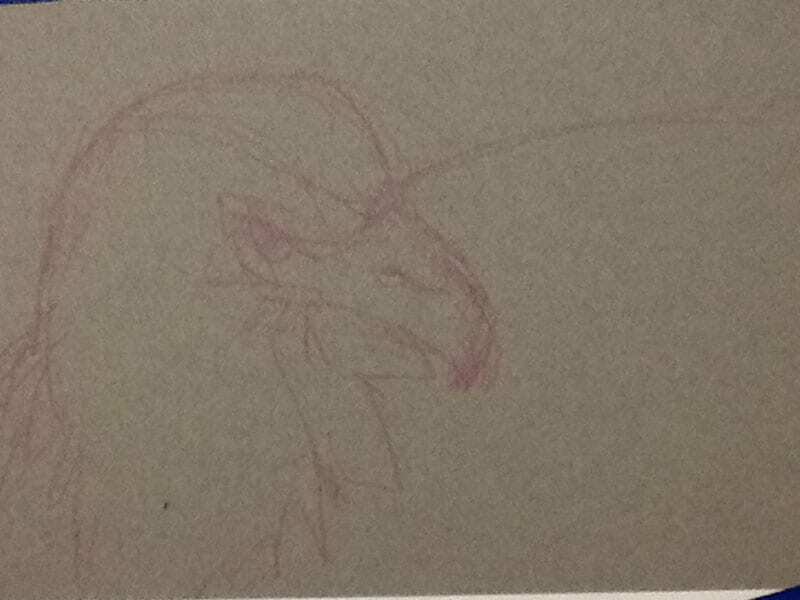 For instance, right after I finished the preliminary sketch in pink, the bird got up and rearranged itself and I had to decide whether I had enough information to try to finish what I’d started. Turns out, I had enough, and happily, the eagle eventually returned to its original spot. By then, of course, the sun had gotten higher in the sky and the shadows had changed, but that’s life! 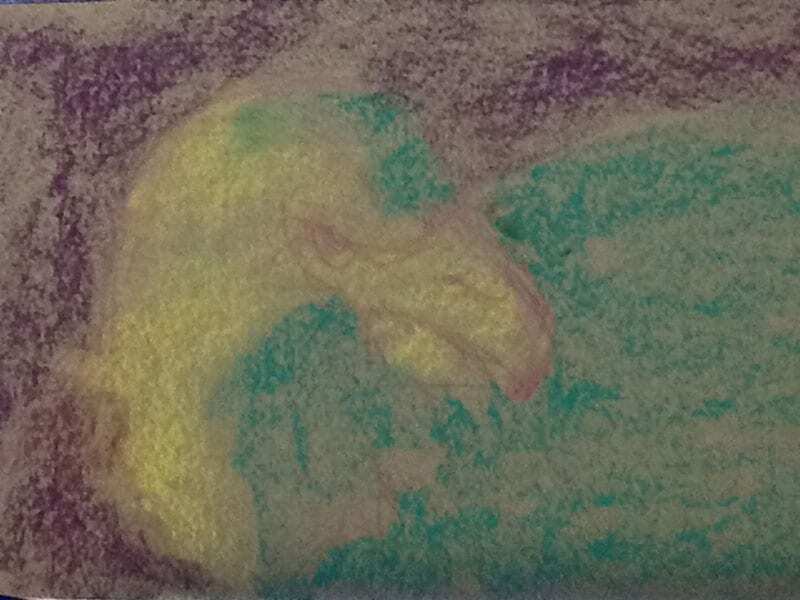 Initial pastel pencil sketch in pink. 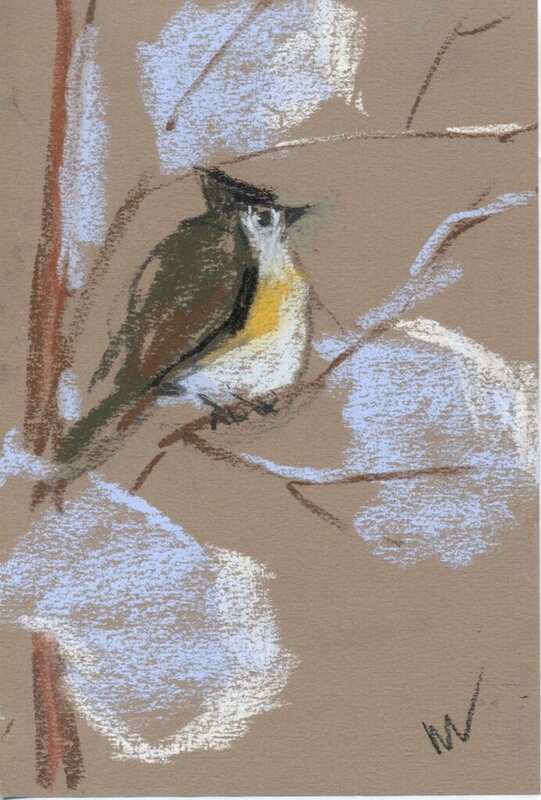 This entry was posted in A pastel a day, Animals, painting a day, Pastels and tagged art, bird, eagle, nest, painting, pastel, Study on March 18, 2016 by Marie Marfia.